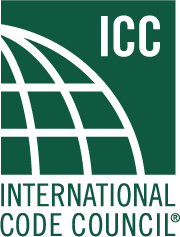 The International Code Council is a member-focused association with over 64,000 members. It is dedicated to developing model codes and standards used in the design, build, and compliance process to construct safe, sustainable, affordable, and resilient structures. Most U.S. communities and many global markets choose the International Codes. The International Codes®, or I-Codes®, published by ICC, provide minimum safeguards for people at home, at school, and in the workplace. The I-Codes are the only set of consistently updated, coordinated, and comprehensive construction, fire, and energy codes. They are developed through ICC’s highly-respected consensus code development process that draws upon the expertise of hundreds of plumbing, building, and safety experts. Fifty states and the District of Columbia have adopted the I-Codes at the state or jurisdictional level. Several federal agencies also enforce the I-Codes.